The MediaWorks office building launched on Friday 24 February 2017 with a party attended by over 200 guests including many from the property industry and tech-entrepreneurs from the creative industries. 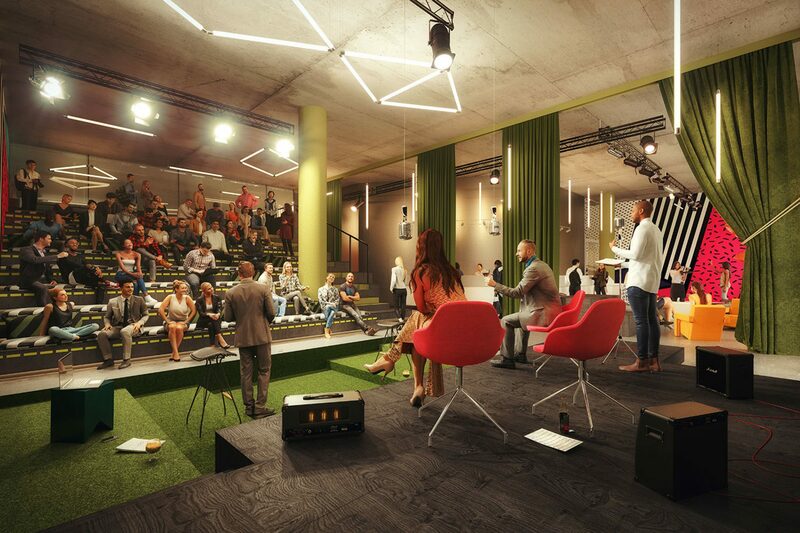 Huckletree, a co-working space and tech hub, Yoox-Net-A-Porter and the Royal College of Art will be among the first new tenants to move in to White City Place this Summer. 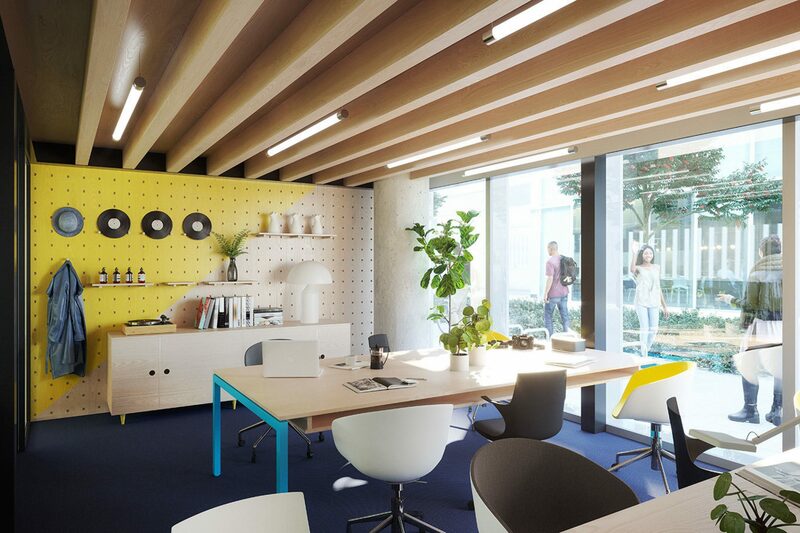 Huckletree West will accommodate 500 individual memberships of like-minded individuals representing a multitude of industries including digital, media, fashion and design but with a focus on business growth through technological innovation. 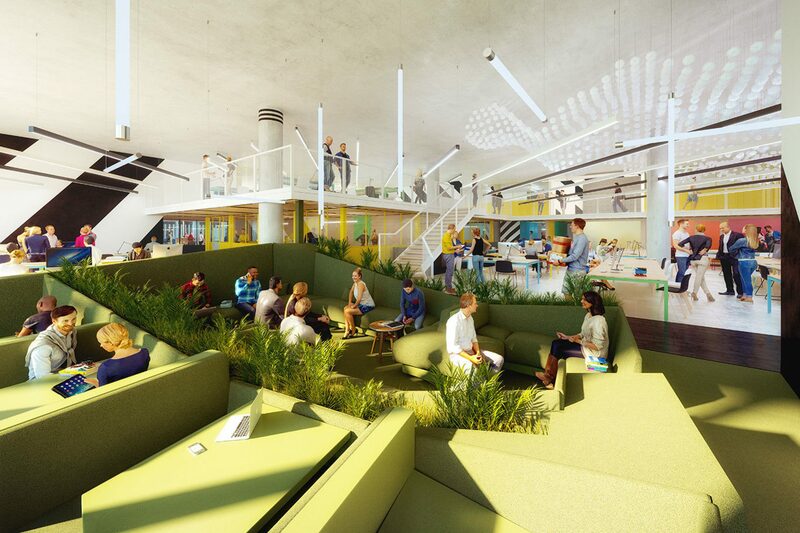 Tech-entrepreneurs will have access to a Virtual Reality Studio as well as the option to participate in a weekly schedule of well-being, which includes yoga classes, guided meditation as well as access to a dedicated meditation yurt. 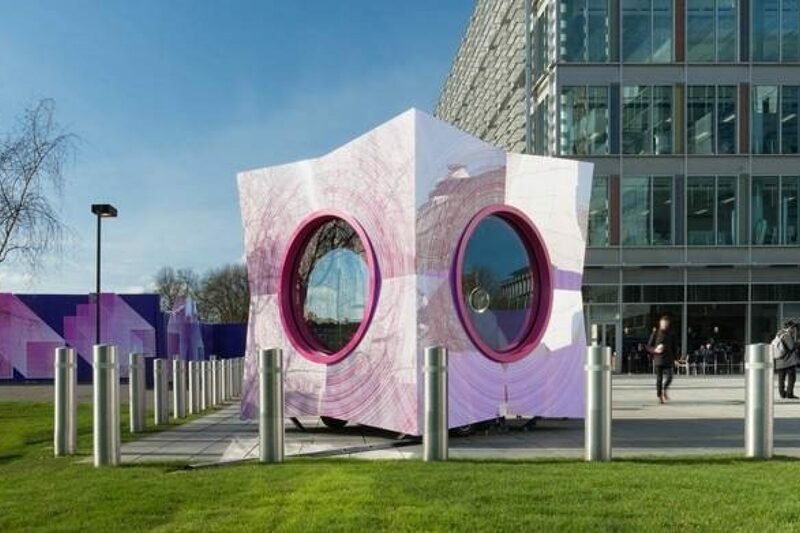 Also on show was a new moveable podcast studio, The Pod, which was conceived by creative agency dn&co with design by Fathom Architects, and the first transferable studio of its kind to be available for public use in the UK. The Pod is a 12m2 moveble structure created exclusively for podcast recordings and is a fully functional studio seating up to six people.